This is an example Unity project for connecting to an NGIMU and displaying received data in real-time. The application will first search for all connections and then allow a specific connect to be opened. 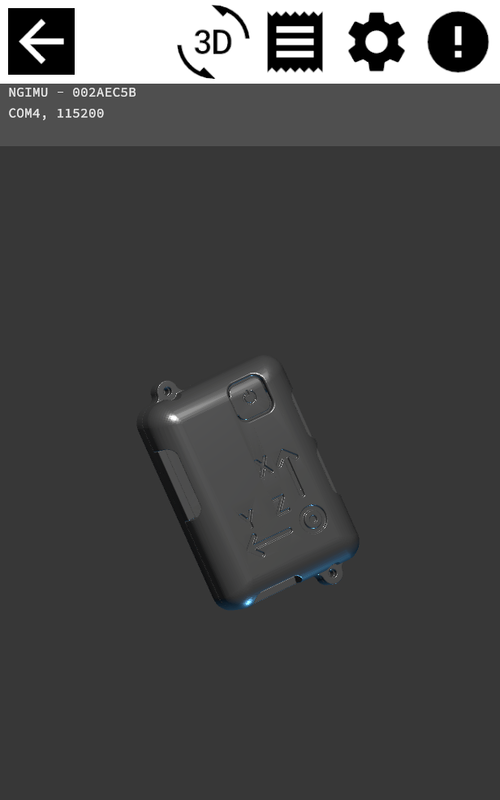 Received quaternion data is displayed as a 3D model. All received data is overlaid as terminal text. 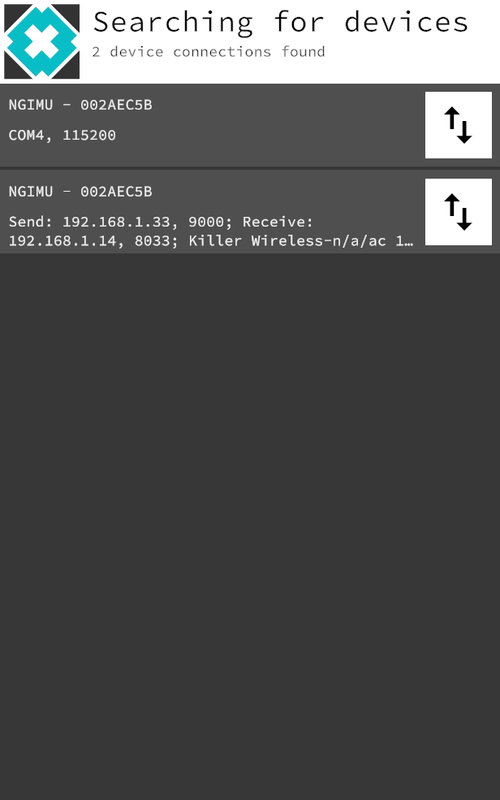 The project has been tested with Unity version 2017.3.0f3 for serial and Wi-Fi connections on Windows, and Wi-Fi connections on Android.